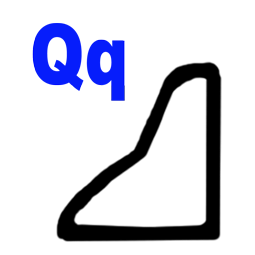 Today's Egyptian hieroglyphic is the letter "Q"
It's pronounced "Qw" as in Quiet. Here's an easy way to remember the hieroglyphic symbol for the letter Q. Now remember your "quiet" hillside, which starts with Q, and you'll have it!